Corruption is a plague. It is a toxic social and financial pathogen that, so far, is resistant to any legal antibiotic. We are all exposed to it and vulnerable to its effects. Corruption leads to and maintains poverty. Tragically we live in an age of corruption. From Russian oligarchs stashing their filched collateral in London property to Latin American drug cartels laundering their blood money through financial markets and banks such as HSBC, from Scottish landowners stashing their cash in tax free off-shore accounts to media barons dictating the political agenda: it has become normality. Recently the arch-Brexit bank-roller Aaron Banks and his sidekick laughed at the Digital Culture, Media and Sport Committee at Westminster for their attempt to shed some light on his financial affairs. Such is the arrogance of modern corruption. On the other hand, Westminster itself has been corrupt for over a thousand years and is now showing openly its sneering contempt for devolution and the workings of democracy. As the SNP MP’s followed their leader out of the House of Commons earlier this month we in Scotland could hear the braying, sneering hob-goblin voices of corruption flowing from out of our TV’s and radios as the Tory’s displayed all their public-school hate training, unconcerned and unaware of how alien and disturbing such bullying behaviour sounds to the Scots or the rest of the world. Such is the chauvinism of corruption. Corruption comes in many forms, places and times. There is a rural myth in Caithness that back in the 1950’s, when the housing estate which was to accommodate the newly migrated United Kingdom Atomic Energy Authority workers, who were to operate Dounreay’s fast breeder reactors, was being built, that the infamous County Councillor Abrach Mackay sold the sand the building contractors needed for the cement and concrete for the hundreds of houses. This sand came from Dunnet Beach, one of the most beautiful places in the Highlands. It came from a part of the beach known to locals as “Coombs Kirk”, which can either mean “the church of Columba” or the “the Devil’s Kirk”, depending on your psychology. Legend has it that there was a plague burial mound at Coombs Kirk, dating from the middle of the fourteenth century, and that the bones and relics of this medieval plague cemetery were dully and unceremoniously shovelled into the back of the contractor’s lorries and inevitably found their way, via the cement and concrete, into the foundations and walls of the new Dounreay workers estate houses, which came to be known to Caithnessians as “ay Atomics”. Over the years many strange, ghostly and unexplained sights and sounds have been reported to have been seen and heard in and around Castelgreen Road and Pennyland Drive, two of the main thoroughfares in “ay Atomics”. From the mid-fifties to the late nineteen sixties, the population of Thurso trebled to almost ten thousand with around 1,700 new houses being built. Everything was happening quickly. Change was seen as a “good thing”. After the apocalypse of World War Two no-one was in a state of mind to ask too many questions. Many people were just glad to be alive. The coming of Dounreay was seen as an economic blessing, that if it had not come to the Far North then Caithness would have experienced mass emigration, poverty and decay. So ran the contemporary media narrative. This was the new “Atomic Age” of science and progress, the time of the white-hot heat of the technological revolution. If you did not support this you were seen as a relic of the past and that was officially construed as a “bad thing”, as was the culture and history of Caithness which was considered a hindrance to the future and subsequently redacted from the record. Beyond the physical devastation caused, Karen Jillings also describes the social impact of the plague—cynicism towards the Church and the abandonment of serfdom—that was integral to the development of the country. Between 1350 and 1362 a quarter of Scotland’s population perished from “the pest”. If we look at the effects of corruption on current public attitudes to politics and institutions we can see a similar cynicism at work, which in its own civic way is having an equally destructive impact on our public life as the plague, or the pest, had on human life in the past. The plague ghosts may be mythic spectres on the atomic streets of Thurso, but in reality particles of radiation pollute the beaches and water-courses and cancer and leukaemia haunt the bodies of the innocent, so too does the ghost of democracy wander the crumbling corridors of the Houses of Parliament in London. Just as “the pest” revolutionised the relationship between labour and their feudal overlords – scarcity of labour put power into the hands of those could work and initiated a new social economic relationship – so it surely follows that the cynicism and corruption at the heart of the Brexit project must kick start a new relationship between the more or less functioning system of democratic accountability we have in Scotland and that which is so obviously not functioning in the UK. If the expulsion of the SNP’s Ian Blackford, followed by the walkout of his fellow MP’s, signals anything then surely it must be that this is the beginning of the end of meaningful Scottish participation in the House of Commons? The question many in Scotland are asking is: just what good is there in having Scottish nationalist MP’s, any Scottish MP’s in Westminster? If we do not embrace mutability then nothing politically can be gained. Land ownership, property and rentier capitalism are the seedbeds of corruption. They are the toxic talisman of the British state. To change, in any meaningful way, these class fundamentals is beyond the reach of the devolved Scottish parliament. It was designed that way. The working of the financial markets and the production and cartel pricing of energy, for example, are currently out of their reach. Yet these are the generators of corruption and the protected status they unfairly enjoy is a plague on our emerging society. They betray change and steal the promise of the future. Parliamentary parties are stifled and deluded by procedure and whatever radical urges they have the system is designed to accommodate them, to filter them out by the procedure itself, a bit like a shale-shaker on a drilling rig in the North Sea oil field extracts the formation roughage from the drilling mud. The bad bacterial seed which is Brexit, and which haunts the blood and bones of our political reality like leukaemia, was sewn in 1979 when Margaret Thatcher’s regime was voted into power after the collapse of James Callaghan’s feckless Labour government and the fix of the devolution referendum. Then came the Falkland’s War in 1982 when Britain reinvented itself as a military super-power to re-take a far-off colony from a South American fascist junta (two bald men fighting over a comb, as Jorge Luis Borges put it) and nearly lost. But the jingoism it generated did the job and Thatcher was re-elected in 1983 with a majority of 144 seats. Then came the bitter, violent and tragic miner’s strike of 1984-85 which changed the lives of those who lived through it and allowed Thatcher’s government to brutally destroy Scotland’s industrial base and the organised labour movement that went with it. All the while Britain was becoming “Airstrip One” for US cruise missiles, nuclear submarines and air bases. This craven allegiance to the US and illogical hostility to Europe is the all too real political pathogen at the heart of conservative Britain. Without an effective opposition in Westminster the Tories are free to do what they have always done, which is to look after the interests of their own class and fight amongst themselves, whilst betraying the people. The bumbling superior reticence displayed by Corbyn’s Labour Party only plays into their hands. There are other realities. Dounreay, for example, was never a “power station” but a nuclear research and development facility and why it was positioned on the North coast of Caithness was that if it blew up then the dome would contain a proportion of the blast and the Far North of Scotland would absorb the nuclear fallout. Old Abrach Mackay, when he indirectly sold the UKAEA the sand he did not own to make the cement and concrete to build the houses which became “ay Atomics”, was shovelling an ancient corruption into a modern misrepresentation. 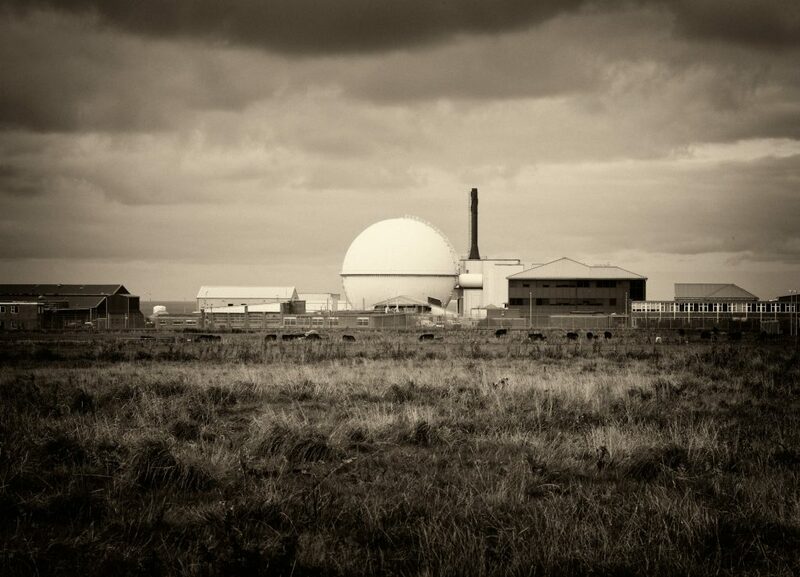 Dounreay was, like all nuclear establishments in Britain, a military resource. Why does the UK have a nuclear energy industry? Because they have a nuclear weapons programme. Why does the UK have nuclear weapons? Because it suits the US and allows the UK to have a permanent seat on the UN Security Council. Why does the UK need a permanent seat on the UN Security Council? Because it maintains the myth that the UK is a major world power, as it once was in the past. So do the plague ghosts of empire possess the psyche of the UK’s ruling elite. They are infected by the dangerous pathogen of post-imperial delusion. Brexit is a symptom, a bacterial ghost of this psychotic history. The Tories in power in Westminster at the moment are themselves phantoms, the plague ghosts of over seven hundred years of invasion and aggression towards their Northern neighbour and to mainland Europe. If the independence of Scotland has to take the form of an exorcism then so be it – let the ceremony begin or we will never advance towards a society which is mutable, empathetic, stronger, bolder, generous, gentler and can openly embrace the life-giving photons of the Sun’s rays. These examples tend to see systemic corruption as almost built-in, perhaps unavoidable in cycle of political growth and decline, the seeds of destruction growing within the initially-healthy-looking body. What seems less frequently treated are ideas on a cure for corruption that might work within a modern global sense of international regulation and planetary stewardship. Can we expect or accept our colonial masterrs will accept our reject our view?